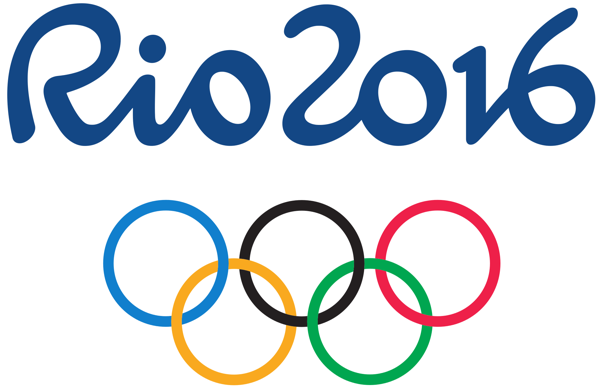 Are we ready for the 2016 Olympic Games? In his speech, Lord Coe claimed that each individual performance at the Games would “create a symphony of inspiration that will create lasting change”. But did the 2012 Olympics really “inspire a generation” and will we see proof of that at the forthcoming Rio 2016 Games? Team GB put in an outstanding performance at the 2012 Olympic Games, finishing in third place on the medals table and taking home 29 gold medals, 17 silver medals and 19 bronze medals. Our Paralympics team also put in their best ever performance at the Paralympic Games, winning 120 medals (43 golds, 43 silvers and 34 bronzes). The Games’ organisers and sports clubs went to great lengths to try to encourage youngsters to watch the Games and get involved in sport. For example, parents benefited from a promotion which “allowed them to get tickets for certain sessions at a price pegged to the age of the child”, while many sporting bodies offered free taster sessions. During and immediately after the 2012 Olympics, some organisations reported an upturn in enquiries from people interested in their sports. According to the Telegraph, the number of enquiries received by Volleyball England was thirty times higher than usual during the Games, while sailing and taekwondo organisations also claimed they noticed an effect. At the time, Sport England’s Natasha Quinn told the newspaper that there were a number of schemes in place to ensure that sporting organisations could make the most of the ‘Olympics effect’ and claimed mistakes made in the past would not be repeated. “After the Commonwealth Games in Manchester in 2002 there was no signposting but lessons have been learnt. We’re far more prepared this time,” she said. However, three years later, the Guardian reported that Sir Keith Mills, the London 2012 bid team’s CEO, was frustrated at the lack of a coherent Government Olympics’ legacy strategy. “We urged that government should have a national strategy for sport and inactivity; that hasn’t happened,” he said. The Guardian also cited sports participation figures from Sport England, which showed that, although the number of people taking part in sport at least once a week rose to a high of 15.9 million immediately after the Games, that participation level wasn’t sustained. Figures published by Sport England in December 2015 did show another rise in sports participation, with 1.65 million more people playing sport at least once a week than were doing so before London was picked to host the Games. However, the organisation attributed at least some of this increase to the success of the recent ‘This Girl Can’ campaign. How Will This Affect Team GB’s Performance at the Rio 2016 Olympic Games? The 2012 Olympics may not have been as widely inspirational as organisers had hoped, but each athlete competing for Team GB has certainly had to fight hard for his or her place, and our elite sportsmen and women are still achieving some spectacular results on the world stage. Not only that, the London 2012 TV coverage, together with Team GB’s exceptional performance, brought Paralympic sport to a whole new audience, and its popularity is likely to have increased once more as a result of the success of the recent Invictus Games. Therefore, Team GB’s athletes are sure to put on a show at the Rio 2016 Olympic and Paralympic Games, and could come home with a host of medals. Do you think London 2012 ‘inspired a generation’? How well do you expect Team GB to do in Rio? Leave us a comment below.